Kashi is a holy place for Hindu community. Most of us visit it with some devotional interest, but nothing more. How would a foreign national feels about Kashi and the cultures and rituals there? How would expats spending years in India think and feel about practices and cultures here? To understand, we should read books like the one written by Terin Miller. It is a fiction indeed, but has lots of information close to reality. The story in 'Kashi' is narrated in first person, from the view point of John Colson, who is a journalist by profession. 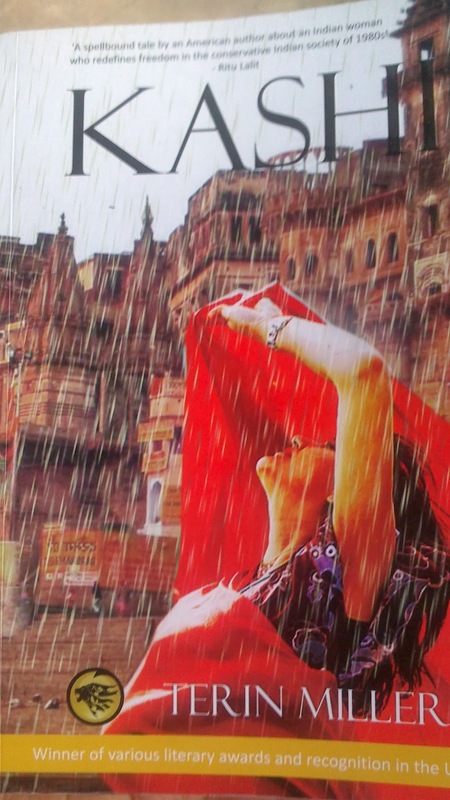 Kashi is a slow paced book (second half is better paced than the first) and readers need to have interest in culture and history to be able to appreciate the detailing. It is not edge of the seat thriller and it is not a romantic flick or a corporate thriller. Kashi does have a love angle in the form of John being attracted towards Meetha Sharma, an educated, wealthy and attractive young lady who has per passions and interests to pursue. This love aspect gels well with rest of the story, as the author explains their journey to Varanasi, the boat rides, the rituals and so on. Chet Bardus, Liz, Rajan form other main characters in the story line. There're narrations of dealing with the mob during rituals, Indian train journeys and experiences, begging network that targets tourists and so on. Most of the story takes place few decades ago, when a cup of tea used to cost 35 paise...(20 times cheaper than today)- so you should understand the context. While Kashi is one of the places, part of the story takes us to Delhi and Darjeeling as well. Will John get to confess his love? There're some twists and surprises to keep readers mesmerized. Do read the book to find out.